Alexander Erdman was born in Grimm, Russia on January 2, 1913. He was the son of Jacob and Amalie Erdman. The family immigrated to the United States in 1913. Alexander was confirmed at the St. Paul's Evangelical and Reformed Church in 1927 and graduated from the Trinity Lutheran School that same year. 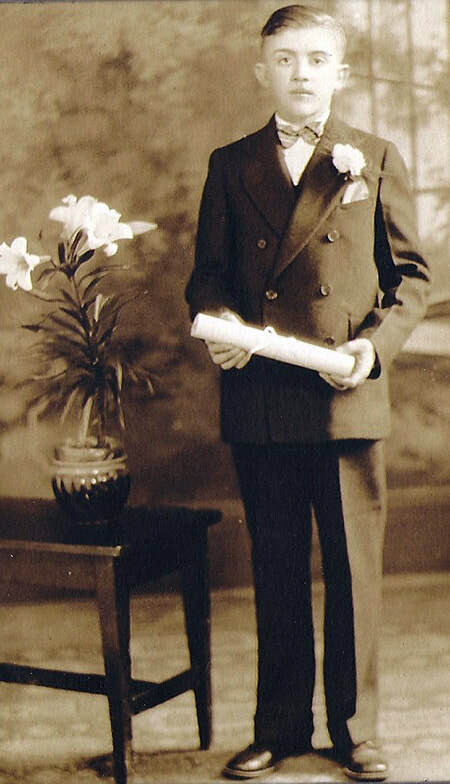 Alexander Erdman on his confirmation day of April 10, 1927 (Palm Sunday) at St. Paul's Evangelical and Reformed Church in Portland. Photograph courtesy of Russ Erdman, the grandson of Jacob Erdman. 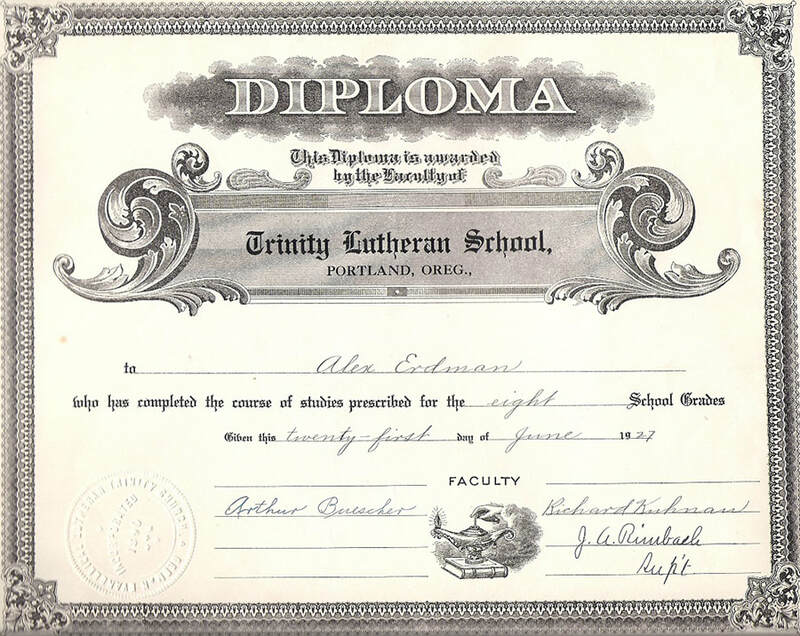 Alexander Erdman Diploma from Trinity Lutheran School, June 21, 1927. Courtesy of Russ Erdman.